UIL Energy announced on Monday morning that it had finalised a Farm in Agreement (FIA) and Joint Operating Agreement (JOA) with Bombora Natural Energy Pty Ltd which will allow Bombora to earn a working interest and right to operate in UIL’s EP447 block situated within the company’s Walyering project in Western Australia. The Walyering Gas Field was discovered in the early 1970’s by Western Australian Petroleum, but production was limited. Three of four historical wells encountered gas within multiple Jurassic age sands with the best tested and stimulated zone flowing at 13.5 million cubic feet of gas per day. 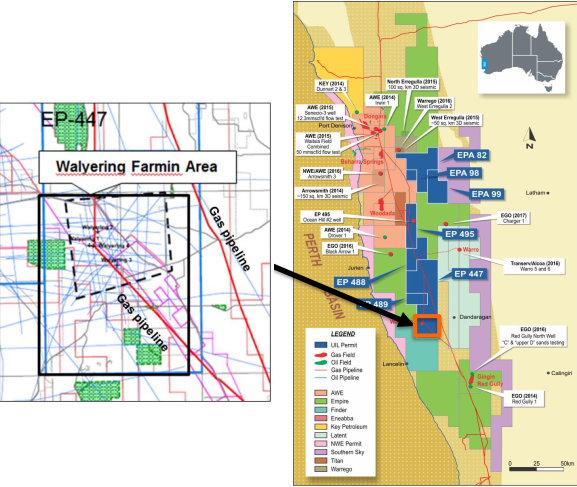 As can be seen below, the Parmelia gas pipeline was originally connected to the Walyering-1 well and provides strategic access for UIL as it directly crosses EP 447 and the farm in project area. UIL’s stated objective is to focus on large-scale opportunities within the Perth Basin where there is a history of oil and gas production. The company has permits that have pipeline or transport infrastructure in place, or are in reasonable proximity. UIL is of the view that the permits it owns in Western Australia will provide it with access to the largest domestic gas sector in Australia, a market which it anticipates will see gas prices rise to more than $10 per gigajoule over the next 16 years due to lack of supply. How market dynamics affects players in this region such as UIL remains to be seen, so seek professional financial advice if considering this stock for your portfolio. The farm in with Bombora will allow UIL to focus on its key projects, particularly the wholly owned, newly acquired Ocean Hill prospect which has a defined 2C contingent resource of 360 billion cubic feet plus condensate. Under the terms of the agreement, Bombora will fund a gross cost cap of $2.5 million for a 100 km2 seismic survey. Costs in excess of the gross cost cap will be shared pro rata between Bombora and UIL, with the latter’s maximum exposure being $100,000. Management announced last week that it had commenced planning initiatives in relation to the Ocean Hill prospect, including approvals for the drilling of the Ocean Hill #2 well and the acquisition of a 3-D seismic survey covering up to 250 km2 of the permit. In discussing the opportunities that the drilling program could unveil, UIL Managing Director, John De Stefani said “The current size of the targets within the Ocean Hill structure, combined with robust long-term gas price projections and access to markets, make the Ocean Hill prospect a very attractive investment opportunity”. Andrew Williams from Taylor Collison initiated coverage of UIL Energy in September, highlighting the fact that the group has a portfolio of assets in the Perth Basin that are ideally located with respect to processing and transmission infrastructure. He also noted that UIL has a development opportunity in a supportive commercial gas environment, referring to the transaction with Eneabba Gas which secured the Ocean Hill prospect. While UIL is an early stage play, Williams said, “The financing requirement makes commercial timing uncertain at this point, but the company does hold strategic interests and there is a gas opportunity to win”. Simon Andrew from Hartleys is also impressed with the group’s outlook. 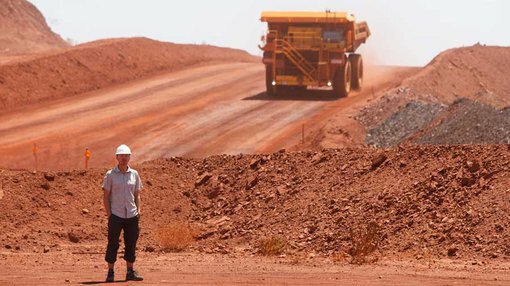 He has a speculative buy recommendation on the stock, noting renewed interest in the Perth Basin and ongoing drilling activity could provide a platform for significant share price appreciation.